TJP attempts to get a win back from Gran Metalik, and Goldust finds himself in a match with the Zo Train in a short and uneventful episode of 205 Live. A good main event couldn’t really redeem a show where the first hour was pointless and dumb. There were some good things on this RAW, but not enough. TJP tries to continue his comeback winning streak when he takes on Gran Metalik, and Tony Nese attempts to get back on the Zo Train by beating down Cedric Alexander in a good episode of 205 Live. This underwhelming edition of WWE RAW had some potential, but the continuing stories didn’t develop much and the matches weren’t great. The RAW Tag Titles are on the line in an show that was a definite improvement over last week’s RAW. Despite some highlights, this wasn’t a great show. It felt like people were covering for lots of people who were taking vacation time, both wrestlers and writing staff. 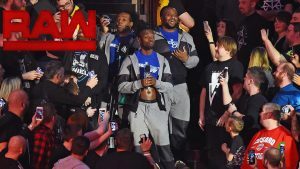 Enzo Amore sort of promises a title shot to anyone on the Zo Train who impresses him tonight, but can any of them live up to his expectations? After winning at Survivor Series, RAW started setting up new story lines with a big return and a big title match. They also jumped back into some other story lines that got put on hold during the buildup to Survivor Series. 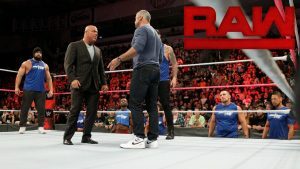 Stephanie once again threatens Kurt Angle’s job, Team RAW goes through some adjustments, and The Shield competes all together for the first time in years on an okay episode of RAW. 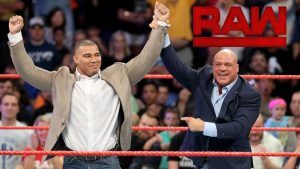 Under Siege Part 2 takes place on a night when the tag titles are defended, Kurt Angle picks the final member of Team RAW, Sasha Banks and Bayley make a bid for joining the women’s team, and a battle between champs takes place. Tonight’s RAW was a night of returns and title matches, including The Miz and Alexa Bliss putting their titles on the line. SmackDown fires the first shot on the road to Survivor Series in a good and entertaining (if, at times, inexplicable) episode of RAW! 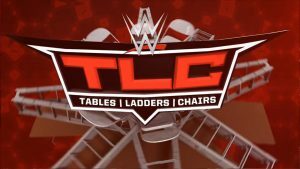 The Shield is united as they attempt to push back against The Miz and his “family,” Enzo shows that he does have some “friends” in the Cruiserweight division, Alicia Fox is tired of being disrespected, and more on the last RAW before TLC 2017. The Shield reunites and Enzo Amore is forced to defend his title against Kalisto early in an alright episode of RAW. Summer Slam continues to shape up as Roman Reigns takes on Braun Strowman in a Last Man Standing Match, Rollins and Ambrose take on Sheamus and Cesaro in respective singles matches, the women’s division begins to determine a contender for the title, and more! This was an oddly paced, okay episode of RAW that had some good moments, but overall felt kind of forgettable. 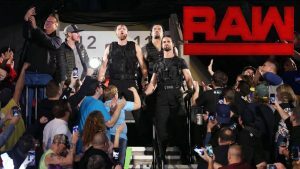 Seth Rollins teams with Dean Ambrose to take on The Miztourage and Sasha Banks battles Bayley to determine a number one contender in a pretty good episode of RAW. 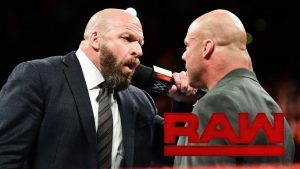 Tonight’s episode felt like the path before the road to Summer Slam and not a lot seemed to happen, but there was at least one big moment when Kurt Angle finally revealed the secret he’s been dealing with for the past few weeks.